A pilgrim intentionally seeks out God's presence in the world around. Through visiting holy sites, sharing sacred stories, and taking time for prayer and reflection, a pilgrim listens for God's voice and looks for the Spirit alive here and now. Traveling on your own or with a friend or two and want to join one of our trips? Learn more about our pilgrimage opportunities for individual travelers. Looking to organize a group pilgrimage? Learn more about our expertise in custom-designed pilgrimage experiences. 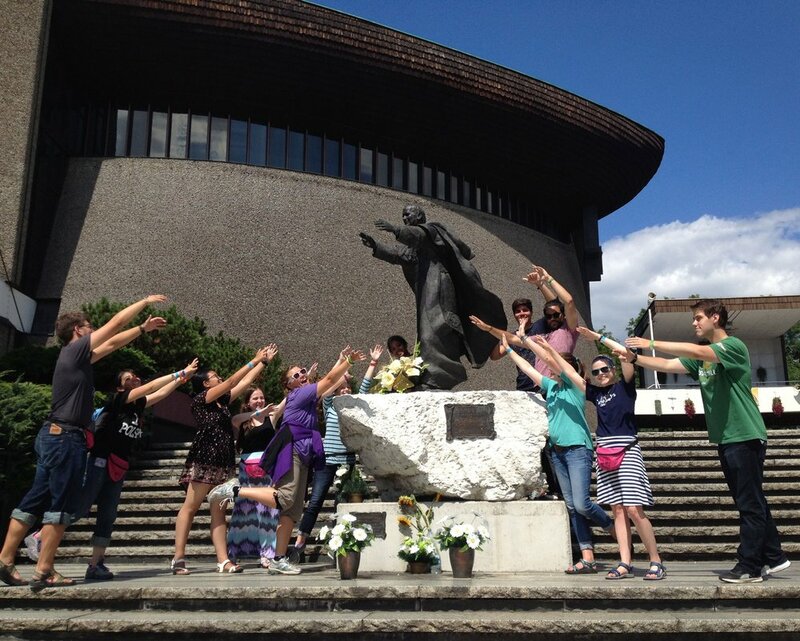 Pilgrimages planned by young adults, for young adults. Check out our upcoming pilgrimages designed for ages 21-39.